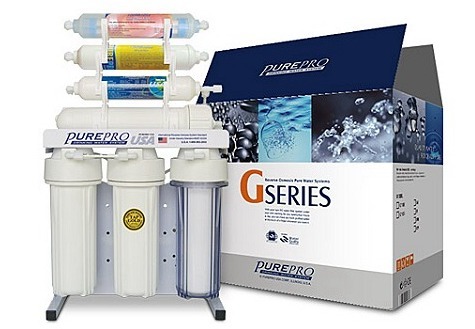 This revolutionary new PurePro 6 stage system uses Reverse Osmosis, Mineral Filter, Infra-Red Filter and Carbon Filtration to put refreshing, clean water at your fingertips. No other system available anywhere can give you all three kinds of purification in a system that is so simple. For more information about mineral filter, please click here. For more information about infra-red filter, please click here.